What just happened? The Made By Google event held in New York this morning was not all about the search giant’s newest flagship phones the Pixel 3 and Pixel 3 XL. 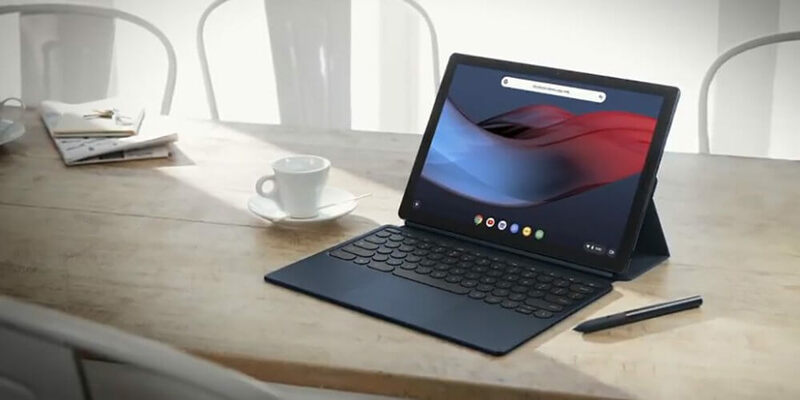 It also had time to introduce the Pixel Slate — a tablet that Google hopes can bridge the gap between tablet and laptop. First and foremost, Google designed the Pixel Slate with YouTube TV in mind. The tablet’s 12.3-inch display uses low-temp Polycrystalline Silicon (LTPS) LCD technology with a pixel density of 293 PPI (6 million pixels). It is easily capable of displaying UHD video and images. It also has dual front-firing speakers for clear stereo sound. For the demo they were obviously using a PA system, so without some hands-on time, you’ll just have to take their word for it that the speakers don’t sound tinny like most other tablets. The performance of the display and sound are tailored for watching videos and Google is putting its money where its mouth is on that claim by offering 3 months of YouTube TV for free with the purchase of a Slate. The device also has 8MP front and rear cameras. Admittedly, tablets are not the ideal device for snapping photos, but the wide-angle front-facing lens makes for a good webcam if you like to video chat. However, the tablet goes beyond watching videos and Skyping with your neighbor. The Slate is a Chrome-OS-powered tablet. Users will have access to plenty of powerful desktop applications like Adobe Acrobat. There are also ample Linux-based tools that are compatible with Pixel Slate. Additionally, since Chrome can now run Android apps, there are mobile software options available as well. In addition to the numerous applications to choose from, Google’s Titan Security and virus protection are built right in and auto-update, so you never have to worry about bothering with it. As an added layer of security, a fingerprint sensor is located on the power button. What good are all these desktop tools without a mouse or keyboard? Google thought of that and is releasing the Pixel Slate keyboard as a separately sold accessory. It has quiet keys and a trackpad rather than a mouse for a traditional laptop experience. One area that tablets notoriously have a hard time with is multitasking. The Pixel Slate is no different in this respect, but Google has at least given it a split-screen mode. While I would hardly call this multitasking, it is better than any competitor’s offerings for doing more than one thing at a time. Google did not have a solid release date for the Pixel Slate but did say that it would be out by the end of the year. The tablet will start at $599. The keyboard will sell separately for $199. Google will also be offering a compatible “pen” for $99.